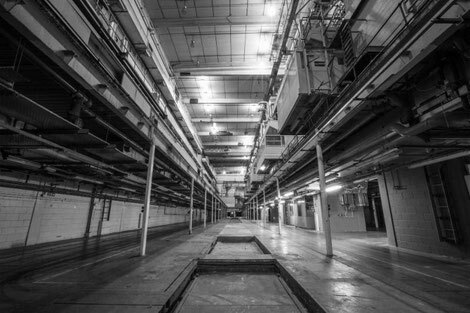 Printworks London recently revealed the only bass event they have in their first electronic music series. Following a run of events across the globe in 2016, UKF are back in London hosting the main room with Shogun Audio bringing their sounds to room 2. Picture a massive industrial warehouse in London's Docklands, with a full day with some of the scene's biggest names providing the soundtrack. The event will take place in The Press Halls space at Printworks London. Housing the giant printing presses that once churned out the Metro and Evening Standard newspapers, the Press Halls are a fully soundproofed space, so expect proper sound levels. Promising fully bespoke production, LWE and Broadwick Live will make the most of the Press Hall's rare potential, adding fully-fitted L'Acoustic and SB28 loudspeakers in the main room, designing an automated lighting truss that makes the most of the vast heights and installing over 100 lasers. 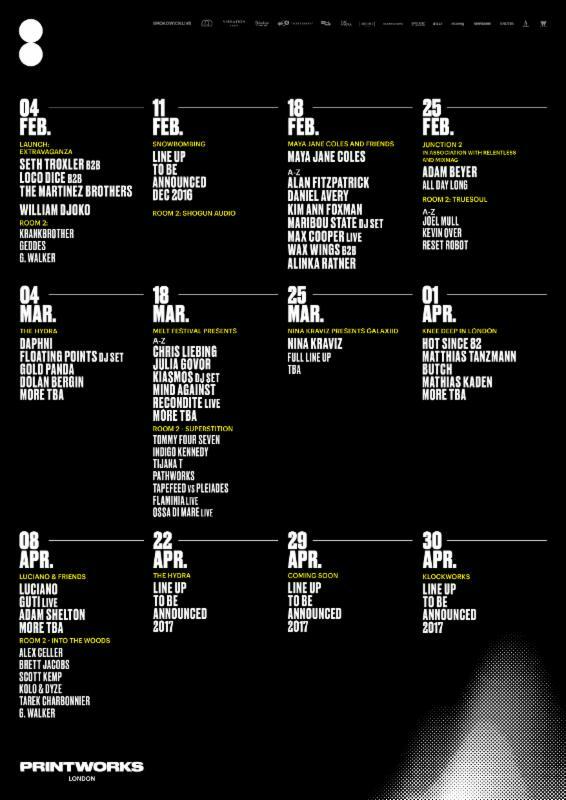 Printworks London Issue 001, the debut music series from London's new, experimental, temporary cultural hub, scheduled to run at a limited 2,500 capacity from February to April 2017 only. Its cavernous, industrial Press Halls will welcome a succession of figures with the likes of Daphni, Nina Kraviz, Seth Troxler, Floating Points, Luciano, Adam Beyer and more, set to headline a genre-spanning programme of events for Issue 001. Offering a different and immersive experience, events will run from midday to 10pm, with ten hours of action both on and off the dancefloor. Printworks' corridors will reveal a matrix of intrigue with a bar for every occasion, street food stands and vast chill-out areas providing plenty of entertainment throughout the day. Two rooms of music will offer vastly different environments with the colossal scale of the soundproofed main room making for many epic dancefloor moments. Printworks room 2 will provide an intimate environment to enjoy some of the scene’s emerging talent with lineups curated by promoters including Superstition, Portal and Into The Woods. The Launch Extravaganza will take place on Saturday 4 February with three-way back-to-back headline sets from iSeth Troxler, Loco Dice and The Martinez Brothers. Each event will benefit from bespoke production with fully-fitted L'Acoustic and SB28 loudspeakers, custom designed mechanical lighting truss and over 100 lasers and spotlights to illuminate the dramatic industrial features. In addition to the music offering, Printworks are busy at work locking in a vibrant selection of cultural events with plans for food festivals, exhibitions, orchestral performances, immersive theatre with even more the pipeline.